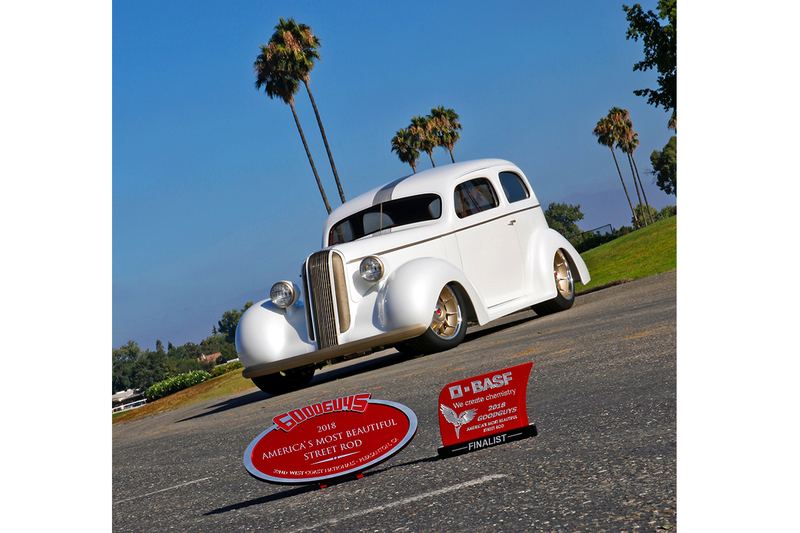 Robert Anderson’s 1936 Pontiac sedan, “Pindian,” was awarded Goodguys Most Beautiful Street Rod presented by BASF. The sedan debuted earlier this year at the Detroit Autorama, where it clinched a spot as a Great 8 finalist for the Ridler Award. In addition, “Granny,” a Glasurit-painted 1969 Chevy Camaro RS/SS eatured in the BASF booth, was named as the Goodguys Cool Camaro. This vehicle was painted by BASF Technical Service Specialist Eladio Mendoza and built by Mendoza and owner and friend Ron Roach with single-stage Glasurit 22 Line.